Aspirin is the old pill your grandmother recommends you take whenever you have a headache or heartburn. The very label of the bottle makes it seem like something from a depression era corner store. Yet this medicine cabinet mainstay may be exactly what a new branch of cancer treatment needs to beat cancer. A British study on mice recently published in Cell shows that giving aspirin to cancer patients can greatly enhance the effectiveness of immunotherapy drugs. Immunotherapy is a new field of cancer treatment that focuses on boosting the patients immune system to help fight off the tumors. Scientists are already saying that this may very well revolutionize the way cancer is treated. To put it simply, the anti-inflammatory component of aspirin also works on the part of the cancer molecule that allows it to escape detection from the body’s immune system. Cancerous cells produce large quantities of prostaglandin E2 (PGE2) which enables the tumor to lower the immune system’s normal attack response. 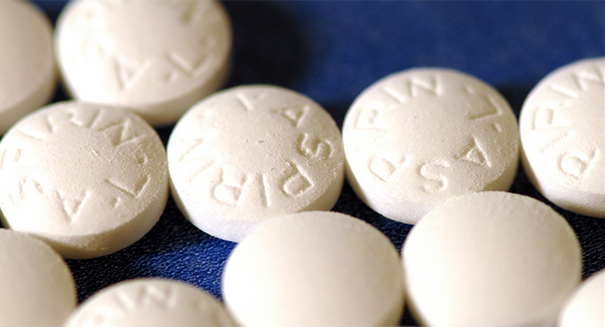 Aspirin, which is a type of drug known as a COX inhibitor, blocks the production of PGE2. The researchers from Francis Crick Institute in London were able to slow the growth of bowel and melanoma cancers in mice. In their current form, immunotherapy drugs are very expensive. The possibility that a cheap, commonly used drug could boost their effectiveness gives hope that less drugs will be needed and the soaring costs of cancer treatment will be more manageable.